Prepare yourself for an unforgettable weekend! And join the unique clinic with Rebecca Gilbert! She already teaches in the UK, Germany, Italy and the USA – and this summer, for the first time ever, she will come to the Netherlands! 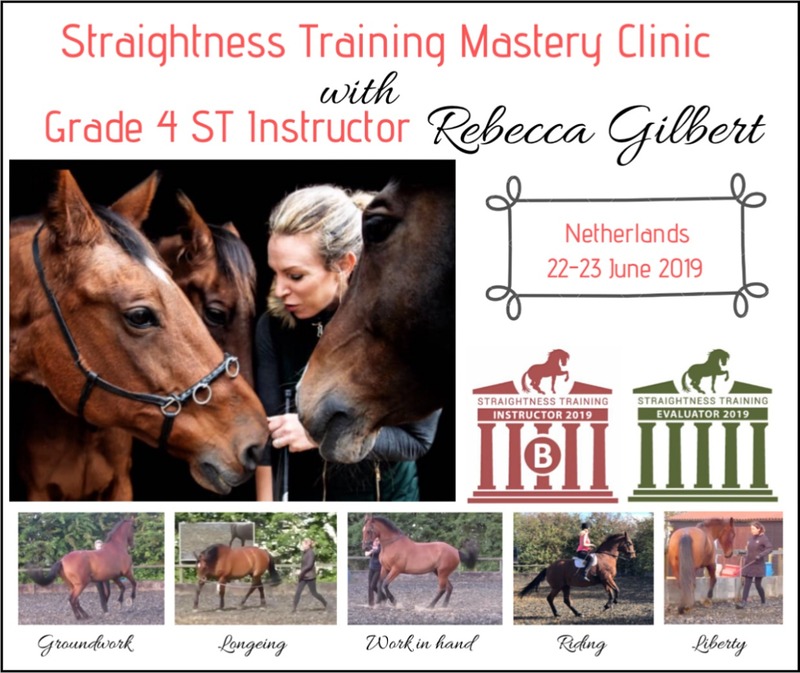 Rebecca is an English Straightness Training (ST) Instructor and at the end of 2018, she achieved the 4th Grade with her 20-year-old mare Milly. With that, she also was the very first who achieved this Grade! 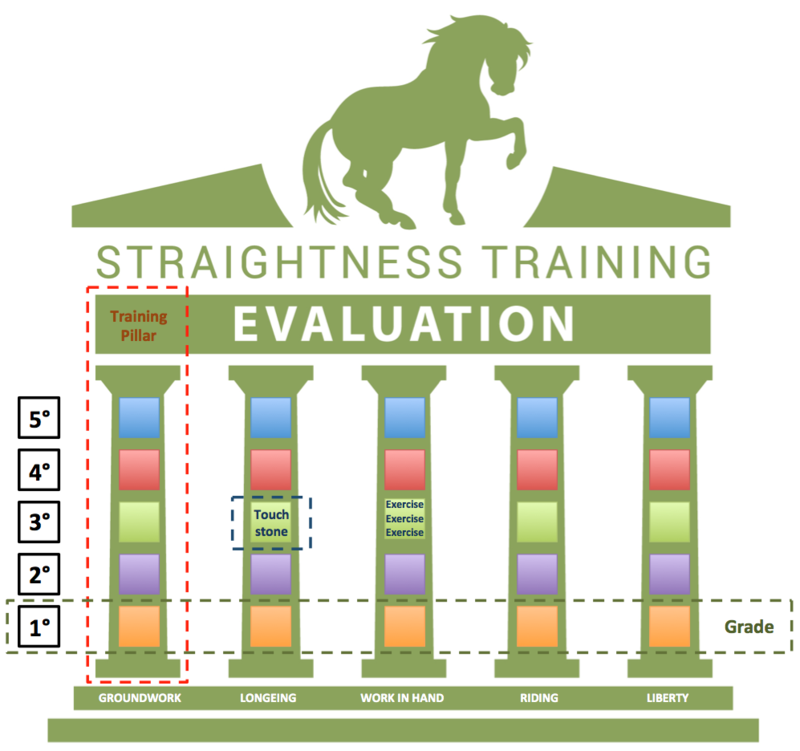 Now, in Straightness Training, there are 5 Grades. When all 5 pillars are sufficiently confirmed, you can achieve a Grade. Next, you can start working in the same pillars on a higher level; on your way to the next Grade. This way, you keep on developing yourself and your horse, according to a logical and proven system! Curious how this looks like in practice? But thanks to Rebecca and the logical, consecutive steps of ST, Milly developed into a muscled, athletic horse. Rebecca knows how to get there. And so this summer she will come to the Netherlands for the first time! Moreover, this clinic is an exceptionally rare occasion to see multiple ST Instructors in action – right in front of your eyes! Rider spots are all filled, but you can still be there as a spectator! And also as a spectator, you will return home with a head full of ideas, a heart full of inspiration and a notebook full of golden nuggets. We take care of food and drinks during the day, so you only need to be occupied with the clinic! There will be coffee, tea and biscuits available all day. In the afternoon, there will be a fully catered Dutch lunch. All lessons will be taught in English. Amsterdam Schiphol Airport is the nearest airport. Plane tickets are not included in the clinic fee. There are more options available: please use Google to find a nice place that suits your wishes. Overnight stays are not included in the clinic fee. Make sure you are there because this is a not-to-miss clinic! 💎 A fun and inspiring weekend together with a bunch of other ST fans! Because together we can do more! Investment riders => all spots are filled! You won’t find more ST at one spot – this is going to be THE ST event of 2019!